Fans who have come to love Sparty's "Fan Silencing" routines may be in for a bit of a surprise this season. When heading out to an Ottawa Senators game, fans have come to expect the kind of atmosphere that has made the Canadian Tire Centre known around the league: deafening silence. Known as "the library of the NHL," the CTC regularly hosts upwards of 20,000 fans of other teams as well as civil servants who got tickets from their boss and they all just want to enjoy a nice, quiet hockey game. But all of that is changing this year with the addition of new rules for section 319, or the "supporter section." "I think it's fantastic," says Judy from Barrhaven. "Finally, real Sens fans have a special section in the building where we can feel free to clap and smile if we think something good has happened on the ice." 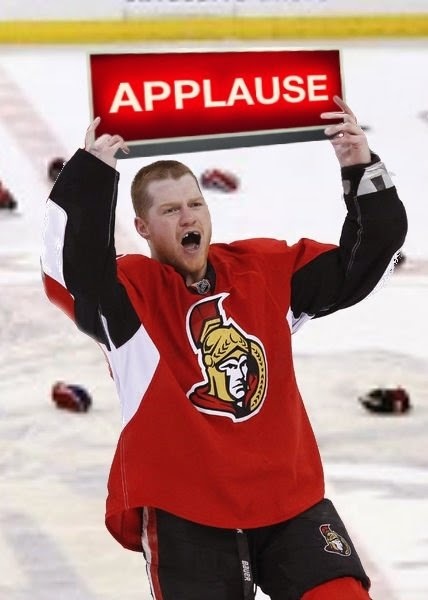 According to the new rules, support can be shown after several on-ice scenarios including a Senators goal, a good save by the Senators goaltender, a Chris Neil fight (but only after Neil has given the signal for applause), as well as anything to do with the all-new fan favourites: the giant dead prime ministers. The adjustment doesn't come naturally though for Sens fan Rick from Orleans, "It's tough because I accidentally cheered when we scored in the Stanley Cup Finals, and I received a five-year ban. So, it's still a little nerve-wracking, but it's great knowing you won't accidentally show excitement and be forcibly ejected from the building." The fans aren't the only ones getting into the new relaxed rules, the players are thrilled to have dozens of people clapping and supporting them in their home building. "It's great to see and hear that kind of support," says veteran defenceman Chris Phillips. "I actually saw someone with a sign once. I couldn't see what it said, and then for some reason they were gone the next time I tried to read it, but I think it's really great." 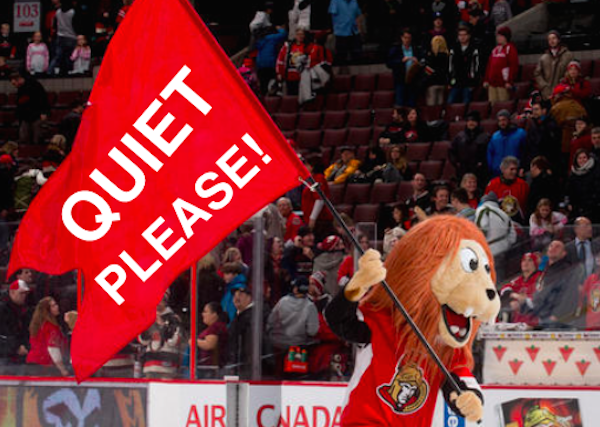 The Senators organization declined to comment on whether or not signs are allowed in the supporter section. If the supporter section experiment goes well this season, the organization has stated that they would consider playing music in between plays instead of whale sounds.